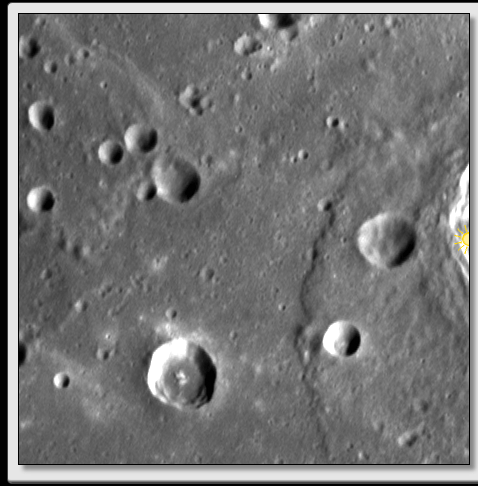 When I first starting testing PlanetMappers: Mercury Edition before it launched, I thought that Mercury was very much, well, like the Moon: dry, grey, and cratered. Of course, we’ve learned in the past few years that Moon isn’t so dry and definitely isn’t boring, and the same goes for Mercury as its been studied by the MESSENGER spacecraft since 2011. Most obviously, Mercury differs from the Moon is size and in overall composition. It is larger and far more dense, having an iron core that extends a full 83% of its radius from the center! For comparison, the Earth’s core extends 45% from the center, and the Moon’s is just 20%. 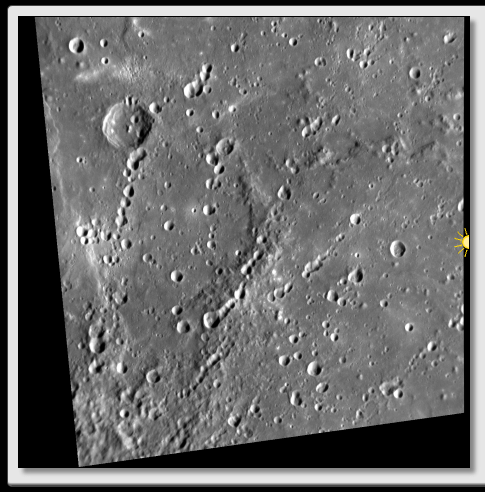 So Mercury is small but massive, and the higher surface gravity leads to many more crater chains and secondary craters than would be seen on the Moon. In fact, that’s one of the reasons we have you mapping the craters so fastidiously on Mercury. Mercury is also pretty darn wrinkly. As the huge, metallic interior cooled and shrunk, the thin crust on the surface folded and buckled in many many spots, causing rifts and fault lines. There is almost no end to the arrangement of criss-crossing lines across the surface and even through craters. When you take some time to look at both the Moon and Mercury with a close view, you can easily tell the difference. Well, or so you tell yourself… I still find myself stumped when having to distinguish the Moon from Mercury in the hardest game in Earth or Not Earth, the Matching game. Maybe I still have a ways to go before I can consider myself a true armchair planetary geologist! In just a few months, we’ll be getting even closer and closer images of Mercury as the MESSENGER spacecraft dives down for its closest orbits yet. Well into the extended mission phase, MESSENGER is set to orbit just 100 km (62 miles) off the surface, starting with a maneuver on July 25. Its closest approach will come in September as it skirts just 25 km above the surface! The mission is currently planned to end in March 2015 with a guided crash onto the surface. MESSENGER will have done its duty several times over in helping us understand what was once the biggest mystery in the inner Solar System. We’re glad you are helping us along with PlanetMappers.